Believe it or not, the reason why I wrote Sophia’s Red Hat was to create a story that taught a mathematical concept. Being a teacher, I am very interested in teaching math in creative and fun ways. The problem in the story can be adapted in simpler ways to use for younger children such as addition or simple multiplication or can be developed into something quit a bit more complicated for older children. The exact solution to the question at the end of the book is a unique number in a few different ways and has connections to other things in the story. The poem at the end of the story is also connected in some mathematical way. I think math lovers would be able to appreciate these ideas. But truly, even if you aren’t a math lover, it is always good to stretch the mind to maintain your creative ability. The story actually has several different patterns in it. Of course the obvious pattern in the exponential growth of the hats, which directly parallels to the people becoming progressively more kind and joyful. Discovering one of the other patterns may not be that obvious, but one would need to look at the illustrations very carefully. But the real inspiration for my story came through my daughter who loved knitting hats for other people. 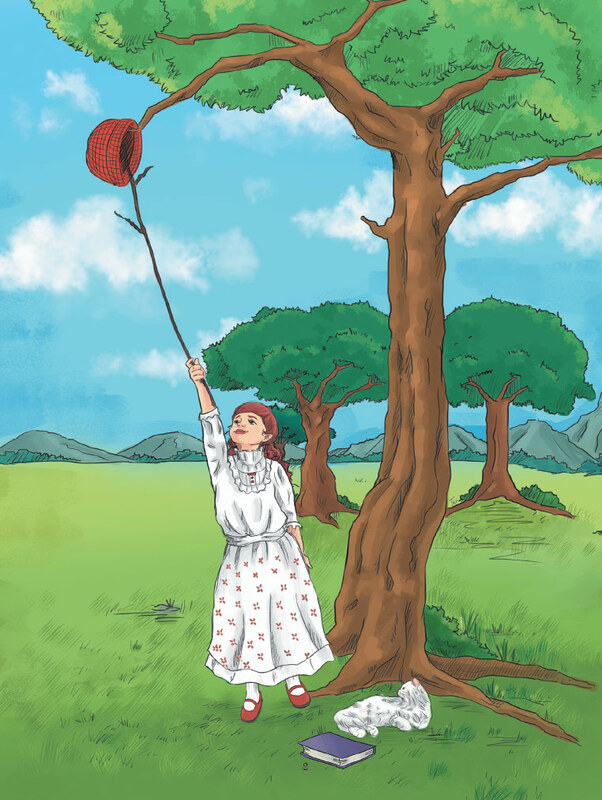 So a story of showing kindness and spreading joy, transpired into a lively and catchy rhythmical story with an opportunity for children to twirl every time Sophia twirls, and to play a musical instrument every time Sophia plays an instrument. My daughter loves both dancing and making music. And she also loves math. In conclusion and above all, I hope my story inspires people with thoughtful acts of kindness to make this world a better place; good advice for me and for everyone else. And what’s really so cool about the story is that it actually helps me to think more about being kind to others.